How to display multilevel dependant picklist in lightning component? For example: Country must control values in State and inturn State must control the values to be displayed in city field. Any help on this will be appreciated! Current user photo in custom lightning community theme. How can I show the current user photo in the custom community lightning theme? I would like to add current user image on a custom component that I created. I am trying to display the Account records on Visual Force Page where Phone and fax fields values are equal. I have written a Controller and design a VF page. But when I am clicking on "Display records" Button then I am getting below error. I tried to debug this, Actually while adding the value in "acc" list its throwing the error. Could anyone help me out here. Actually I am not having much knowledge of VF pages so not sure where I am doing wrong. Can anyone help me how can i change counter value inside iterator??? how to convert button to hotlink in lightning component? Is salesforce ligthtning is ruling now ? Is it necessary to learn lightning as developer? what will be used in lightning development and what are prerequisites to learn it.? Indeed, the Developer Console has a number of features for working with Lightning Components. There’s also File | Open | Lightning Resources, which lets you open a bunch of Lightning resources all at once. Useful! But in Developer Console, I cannot find "Lightning Resources" under "Open", instead it is File | Open Lightning Resources. Please update the post. How to create formulae field for display the document attached in Static resources? I haveuploaded a ppt document in static resources. I want to create formula field and display the link which we have uploaded in static resources. please let me know how can we do this? 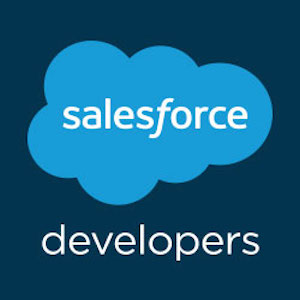 I have Used jQuery DataTable Plugin In Salesforce Lightning Component . Now i want to remove unwanted sorting symbols in my table from the loaded scripts. I have Used jQuery DataTable Plugin In Salesforce Lightning Component . Now i want to remove unwanted css clases from the loaded scripts. I Want to remove the highlighted css classes from the loaded scripts. But in select option also i am getting white color, due to that i am unable to see the size of the paze like 10, 25, 50, 100. So i want to give another background color for select option only.This is all because of my page background color is black but it is mandatory. If someone know how I could write the test then please let me know! Thanks!! i want display lightning:helpText along with lable of lighting:input field. I am accessing the image in to my component from the static resource. Now i want to implement the onMouseover event on that image. When onMouseover on that image the background color should change to some other color. Update a specific account without querying it. I was wondering if there is any way of updating an account field in APEX if i have the account ID in the Triggered Object. Right now i am running into the issue that I can not do the following (Trigger is on the Opportunity). I have already tried limiting the numbers returned by my SOQL Query but the error persisted. Any help would be much appreciated. What is the advantage of querying within loop? Best Practice : When someone takes the time/effort to repspond to your question, you should take the time/effort to either mark the question as "Solved", or post a Follow-Up with addtional information. Can we sort wrapper List by Date? IF else condition in visualforce page. Hi, I'm using the below code in visualforce page, it is working fine when I have "Opportunity.Commerical_Value__c" value, but if Opportunity.Commerical_Value__c doesn't have any value, it always return null. What I want is to have something like this "Opportunity.amount - 0 when Commercial_Value__c is empty. Anyone could help me on this? THank you in advance. Customer rating test class Help? Product AND Inventory_Change__c HAVE LOOKUP RELATIONSHIP.PRODUCT IS THE PARENT OF Inventory_Change__c .TRIGGER IS UPDATEING In_Stock__c FIELD ON THE BASIS OF RECORD TYPE CHANGE. PRODUCT IS A STANDARD OBJECT AND Inventory_Change__c IS A CUSTOM OBJECT WITH ONLY ONE FIELD REQUIRED THAT IS "RECORD TYPE"
Cant able to get false condition ui:inputcheckbox ? how to fetch the parameters of URL in lightning component? I have a URL "https://gidev-groupinsurance.cs61.force.com/MemberPortal/s/caseclaimstatus?id=5004C0000033pqlQAA" . I want to use the "id" parameter in my lightning JS controller. How to do that? Hi there, Think i have hit a bug. When building a lightning component i have a modal for creating a record. Renders fine and works as expected. EXCEPT, When you enter the character e, it brings up the background records edit page. Can I create a Lookup field to multiple standard objects (Account, Contact, User) on a Lead? I would like to create a lookup field on the Lead to multiple other objects (above). Is there a way I can do this? The reason behind it is for Leads that have been referred by someone. This could be a Company, a Contact or even an Employee (User). I am working on standard objects alone at this present time so no link to custom objects in required. can we change a lightning icon present in a lightning component via an apex class? Hi i have a trigger to fire warning message when the first name and last name are interchnaged during conversion. It should throw error only when the changed are made during conversion. but it is throwing error if the name is edited even before conversion. what is the missing part? Test class for lookup controller? My apex controller method takes enum as paramer, that method will be called from lightning component java script controller,How Can I access Enum in lightning component? Challenge Not yet complete... here's what's wrong: Could not find a custom field on the Account object with the API Name 'Support_Plan_Start_Date__c'. Could not find a custom field on the Account object with the API Name 'Support_Plan_Start_Date__c'. I am pretty new at this and trying to create a lightning component so that community users that can't remember their username are able to enter an email address to retrieve their username. If the email they enter matches an existing user account's listed email address it will kick an email to that address with the username of the account. Anyone have anything or knowledge of an open source resource that might have something similar? Thank you! I have implemented Digital signature using Visualforce pages and java script. It's working good in desktop and Ipad. I am facing problems in android devices. Can some one suggest the possible solution for this OR share thoughts/implementation using Lightning components please ? I am getting an issue when uploading jquery script file to get pagination in lightning component. I am using a lightning:datatable to display various fields, including a URL field which links to a printable PDF. Can someone please provide me a code example on how to get the href refrecne to work correctly? Just had a query, how can I create a custom tab on accounts page like news, related list, details in lightning? Also, how can that be brought in salesforce1 app? We had creted such custom tabs in the account page b ut those are visible only in desktop but not in mobile. What am I missing? I have scnerio where I need to capture IP address of current User in Lightning Community, is any way standard way where I can capture IP address inside Lightning Components. Im currently facing an issue with the "e.force:createRecord" when trying to pre populate some fields from an object to another one. Im using the "defaultFieldValues" and almost every field is populated correctly (Lookup, text,etc) except Currency and Master-Detail. For your understanding of the issue, when i query the data and show it on the console its shows completly fine ("234" currency field), but at the moment to pre populate it just dont, it keeps the field blank. Also ive tried to: ParseInt, Integer the value, and nothing. Also, the fuctionallity on Classic mode it working fine, so its not a permision issue (Profile, FLS,etc). Do you know why is this happenening? Happens to 2 different currency field and also to the master-detail (havent reasearch or even tried anything on this but if you can help also i will appreciate it). Getting the below error when i click on quick action containing a lightning component. Let me know what the issue could be. I am getting "$Label.LightningControl.require doesn't exist" over the Tool Tip when setting lightning:select require="true"
slds progress indicator css is not working properly. I am working on lightning component where I need progress indicator. I am using slds progress indicator but it is not showing css same as shown in the slds guide. But still it is not showing connecting line of two button. please find screenshot of issue. Is there any workaround to avoid the modal dialog box and just display toast message when working with Lightning quick actions? One approach we have tried is having a Lightning Component with a button and adding the component to the specific record page, however this approach makes the UI inconsistent. Is there a way for one component to reference the functions in another without embedding? If I have to embed the component, how do I reference there parent function from a child component and vice versa? Note: you may run into errors if you've skipped previous steps. The Resources Column is in the Page Layout and I add the needed objects. Is there a way to bookmark a question from this forum? Suppose a come across a question and I want to bookmark that question for future refrence. Can I do that? Currently I am commenting on the already answered questions as a way to bookmark it.